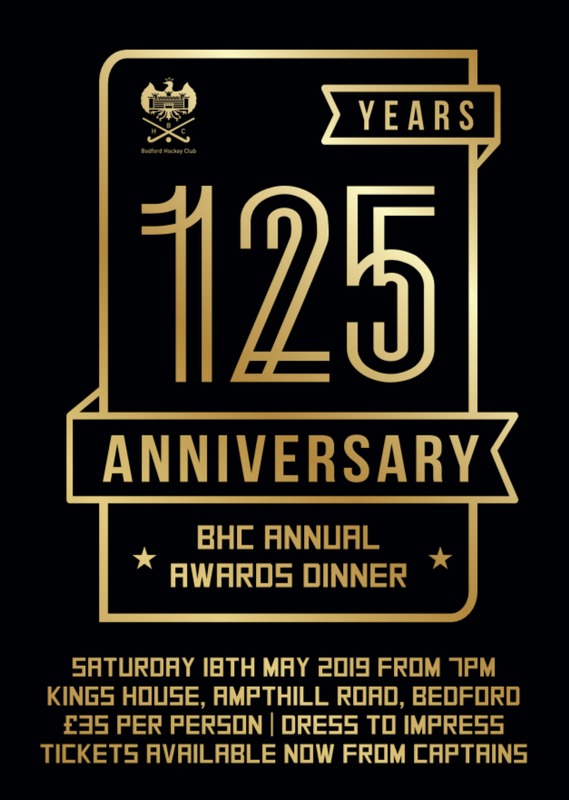 Starting at 7pm the 125year Anniversary BHC Annual Awards Dinner will be held at Kings House on Amptill Road. Tickets are £35 and can be purchased from your captains, partners are very welcome! The organisers at Kings House have kindly agreed to give 50% of the bar profits as a donation to the club pitch fund, so the bar will be running as a club fundraiser!